Jeffrey T. Hammill received his Bachelor of Arts in Political Science in 1989 from Occidental College. He earned his Juris Doctor in 1992 from Whittier College School of Law. He became a member of the State Bar of California in 1992. Mr. Hammill is a member of the State Bar of California. His other activities include: planning commissioner for the City of Claremont; member of the Claremont Chamber of Commerce Commission on Council Member Compensation; Director of Communications, Calaycay for Assembly in 2010; Founder, Katie’s Hope Funds at Foothill Family Shelter; and coach for Claremont Little League. Mr. Hammill has been active in legislative issues affecting workers’ compensation, serving on the Government Relations Committee of the California Coalition on Workers’ Compensation, as well as advising elected officials. 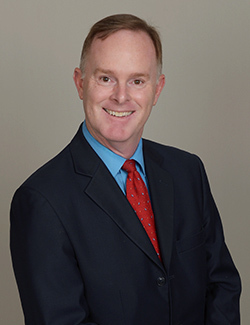 As an attorney, Jeff has held positions as an associate, partner, and managing attorney in the area of workers’ compensation defense since 1993. In recent years, he has represented school districts and self-insured employers. His areas of practice as an associate attorney for Dietz, Gilmor & Chazen are workers’ compensation, Labor Code Section §132a claims, and serious and willful misconduct claims. Jeff understands the economic considerations employers must weigh in handling claims.